Regal BARF with Complete Mix is here! 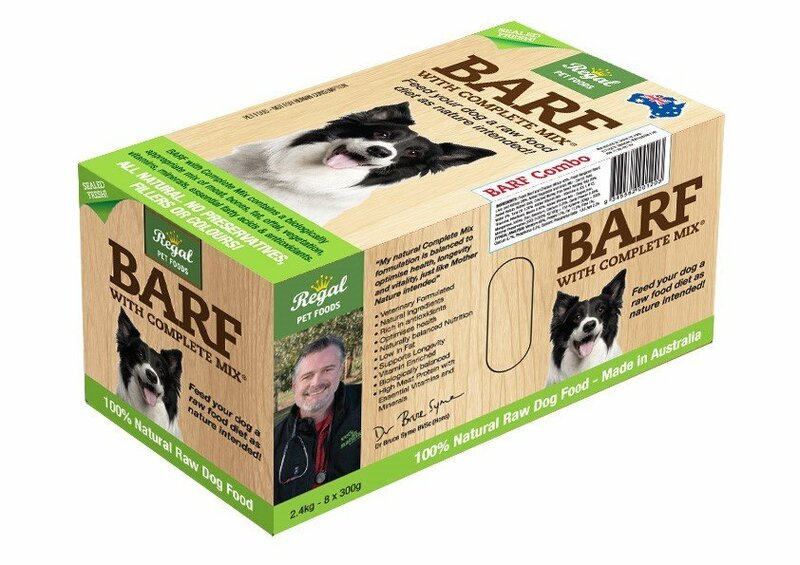 “My Complete Mix provides all the necessary vitamins, minerals and trace elements for optimum health and longevity.” Dr Bruce Syme BVSc (Hons).Regal Pet Foods BARF Contains a Biologically appropriate mix of Meat, Bones, Fat, Offal, Green Vegetables, Vitamins, Essential Fatty Acids & Antioxidants. 8x300grms packs per inner carton. Feed your dog a raw food diet as nature intended! All Natural. No Preservatives fillers or colours. Vet formulated.